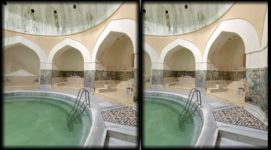 InWorldz announced that as of this month, it will no longer be publishing its region stats or active user numbers, two statistics which have been falling over the past few months. Total registered user numbers and the number of users currently logged in remain on the login screen, however. According to grid founder Beth Reischl — also known as Elenia Llewellyn in-world — InWorldz shouldn’t be counted as an OpenSim grid, so they removed the stats to keep them from being compared to other grids. In addition, InWorldz has repeatedly complained about unfavorable coverage, and did so again this month. Second Life stopped publishing its user statistics and economy reports in 2012. Both Second Life region counts and user concurrency numbers have been steadily going down, and last week Wagner Au estimated that the company’s revenues have fallen in half since 2009, from $100 million to $50 million. 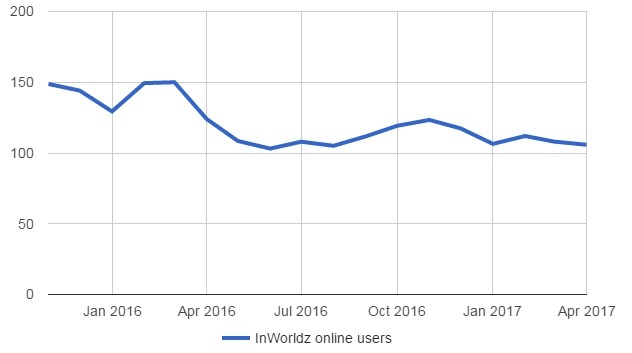 Although InWorldz remains the most popular grid in our stats, its key reported metrics have been heading downward for over a year. 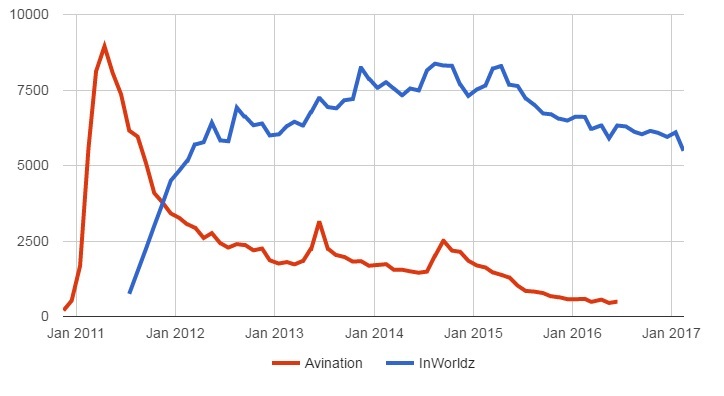 InWorldz has been at the top of the active user charts every month except for one period in 2011, when Avination briefly took the lead. Last month, for example, InWorldz had 5,276 active users, a lead of more than 1,000 actives over the next most popular grid, OSgrid. But their active user numbers have been trending downward since last May. 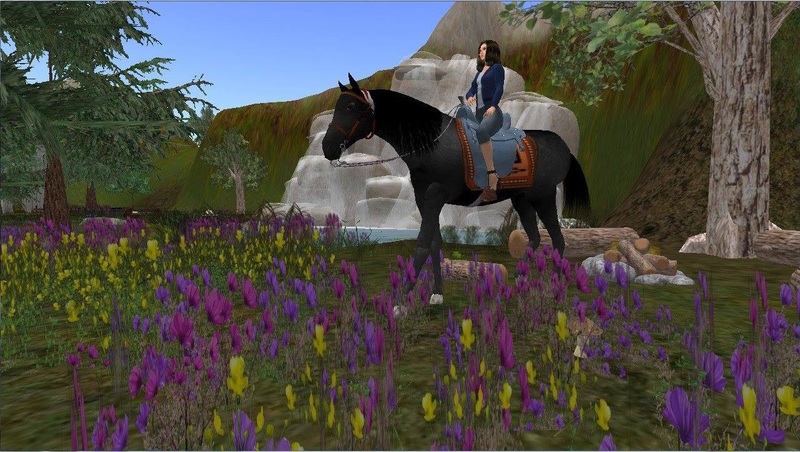 Last month, InWorldz reported 5,276 active users, a drop of 37 percent from its peak of 8,371 in August, 2014. The total region count, is also a problematic stat for InWorldz, since, as a commercial grid, land rentals is where it gets its revenues. These numbers have been heading downward for more than a year. Last month, the grid reported 1,288 regions, a drop of 21 percent from a high of 1,626 in November of 2015. InWorldz has lowered land prices from $60 to $40 a region, but it’s still twice as high as the OpenSim average. One of the two stats that is still up, the number of users currently logged is, is not something that we’ve been tracking. However, Binder’s World does. The decline shows up here, as well, and is in line with the fall in active users. The number of concurrent users has fallen from an average of around 150 a year ago, to just over 100 at the beginning of this month. And over the past two weeks, the numbers continued to decrease, bringing the total loss to more than a third of its daily logins compared to November 2015. This past week, the number of users logged in at any one time has ranged from a low of 27 to a high of 165, with the average of 93. In second place, OSgrid’s logged in users ranged from a low of 56 to a high of 149, with an average of 74. But InWorldz, of course, is no longer just competing against single grids like OSgrid or Avination. 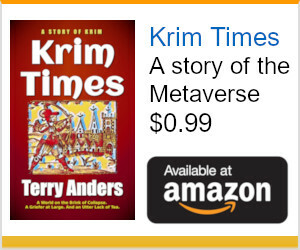 Today, its competition is the entire hypergrid-enabled metaverse, which is increasingly acting like one connected community. Users are able to easily teleport between grids, shop on different grids, even make friends and send messages and join groups across grids. And that leads us to another stat that InWorldz has been unhappy with — its share of all OpenSim users. A few years ago, active users were pretty much evenly split between hypergrid-enabled grids and the closed grids. But the large closed grids have either been going out of business or switching over to the hypergrid at a rapid pace, while the number of users and regions on the hypergrid continued to grow. 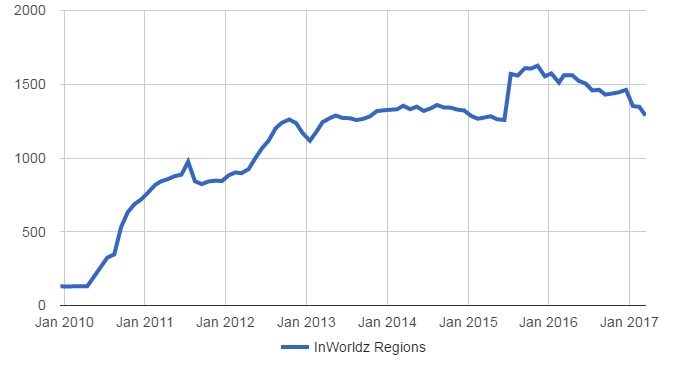 As of last month, InWorldz accounted for less than 15 percent of all OpenSim active users, down from a high of 42 percent in 2013. And it accounts for less than 2 percent of OpenSim land area. 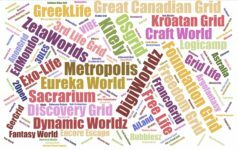 Is InWorldz even an OpenSim grid? This question comes up every month — why are we listing InWorldz in our stats at all, when the grid loudly proclaims that it is not an OpenSim grid? Competing grids don’t want to be compared to InWorldz, after all, because the InWorldz traffic numbers make everyone else look bad. And InWorldz doesn’t want to be compared to everyone else, as they keep repeating. But just saying “we’re not an OpenSim grid” doesn’t make it true. Yes, InWorldz runs on a version of OpenSim that was forked off a few years ago, and goes under a different name, Halcyon. But many other grids run versions of OpenSim that have been forked off and have other names: AuroraSim, WhiteCoreSim, ArribaSim, and, of course, the ever-popular Diva Distro. Kitely doesn’t bother giving its code a name, but it is also extremely customized, to allow their regions to run on-demand in the cloud. Most grids don’t advertise which versions of OpenSim they’re running — because few people care — and you can’t tell just by looking at them unless you’re an expert. So yes, I consider InWorldz to be an OpenSim grid, just running a customized, forked version of the code. In fact, I consider InWorldz to be one of OpenSim’s most valuable grids because of how many new user registrations they bring in. Total registered users numbers tend to go up on almost all grids. On InWorldz, they’re a straight line. That because grids tend not to delete old accounts, if the old user decides to come back, they expect everything to be the way they left it. It makes sense for InWorldz to continue to report this number, since it’s the online one still going up. However, even here, InWorldz’s most valuable grid status has been slipping, as Kitely actually registered more users last year. Finally, even though “Hypergrid” is right in the title of this blog, I’m happy to run news, announcements, and ads from closed grids. In fact, we recently ran a vendor listing and a free ad for the Party Destination Grid, and added them to our Free Land in OpenSim page. The grid just opened to the public earlier this year as a closed grid. Since then, however, it has decided to join the hypergrid, but we haven’t updated all the listings yet — and we published all their materials before they made the change. We also have an ad up right now for Virtual Highway, which is another closed, commercial grid, and we’re happy to run their event announcements and news items. If you have a closed grid, and we’re not including you in our stats, or if you’d like us to run news items about you, or a free ad, just email me at [email protected]. And yes, that includes InWorldz. The whole goal of this publication is to promote OpenSim, no matter what shape or flavor it may come in. Late last fall, in our hosting providers survey, we asked the people who rent land what they most appreciate about OpenSim. The single most liked feature, selected by 80 percent of respondents, was the ability to get a region backup. Next, at 72 percent — people could pick multiple things that they liked — was low prices, followed by hypergrid at 68 percent, and inventory backups at 60 percent. InWorldz does not allow region or inventory exports or hypergrid teleports, ostensibly in order to protect creators’ content. However, other grids have successfully been able to offer both exports and hypergrid travel, while still protecting content. For example, Kitely has been checking permissions in OAR exports since 2011. The way grids do it is that they either use a special “export” permission or some combination of existing copy-transfer-modify permission to let creators decide whether or not their content can leave the grid. This means that a grid can offer both exports and hypergrid teleports without compromising security. And here’s another stat from that same survey — the feature people wanted to see most in OpenSim was an online marketplace. More than 185 OpenSim grids are now connected to the Kitely Market, OpenSim’s largest online marketplace with more than 17,000 product variations — most of which can be exported to other grids. 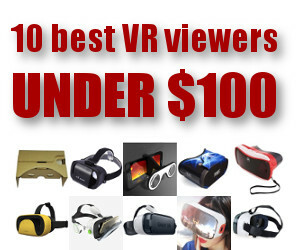 Can InWorldz enable content filtering, turn on hypergrid, allow OAR and IAR exports, and connect to the Kitely Market? They’ve forked off so long ago, and made so many changes, that connecting back to mainstream OpenSim would probably be extremely difficult. They might have a little help, though. Since then, the Army has been working on improving the code, most critically to add a new web-based viewer. The viewer was expected to arrive late last year, with hypergrid support to follow at some later point. OAR region exports and IAR inventory exports are also on the agenda. However, there have been no progress reports so far this year. It might even make sense for InWorldz to just scrap its code base altogether and switch to mainline OpenSim. After all, despite their investments in technology, it isn’t actually being appreciated by the grid’s residents. When asked to rate their grid’s technology last fall, InWorldz residents put it roughly in the middle of the pack, as they have in previous years. 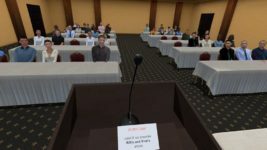 Is InWorldz about to go out of business? Probably not. 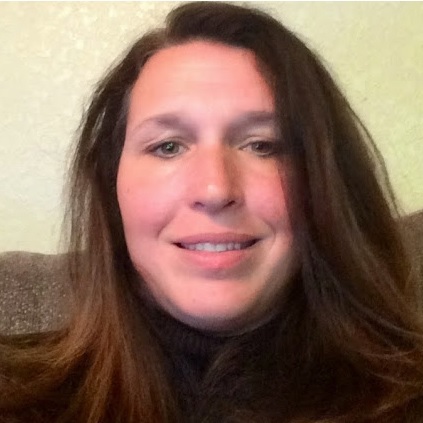 They still have a large user base, the decline has been fairly gradual, and they might still come up with a new way to inspire its residents. However, when I asked Reischl if the grid was working on any improvements, or if there have been any recent improvements that I missed, she did not answer. And, unlike with Second Life, there are only so many employees that InWorldz can fire as revenues drop. First of all, if you a content creator, then you need to ensure that you have your own copies of all your creations. This is true regardless of what grid you’re on, or whether or not that grid stays in business, since things can happen. 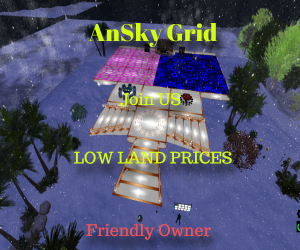 My recommendation is to build on either your own grid, or on land from a vendor who allows OAR exports, and then upload the finished works to InWorldz, Second Life, and other closed grids. That way, you will always have the original copy. The easiest way to create your own OpenSim mini-grid on your own computer, for free, is to use the DreamWorld installer. Plus, you can allow your team members to log into your grid remotely with DreamWorld, and you can even turn on hypergrid teleports if you want. And you can also accept Kitely Market deliveries directly to your at-home grid. If you don’t want the hassle of running your own grid, low-cost regions are available from a number of providers. Many independent hosting companies, including Dreamworld Metaverse and Oliveira Virtual Lands, will allow you to connect your regions to open grids like OSgrid and Metropolis, support hypergrid, and offer OAR region exports. You can also rent land directly from grids, after you confirm that they support OAR exports. Both Kitely and DigiWorldz, for example, offer on-demand OAR downloads. 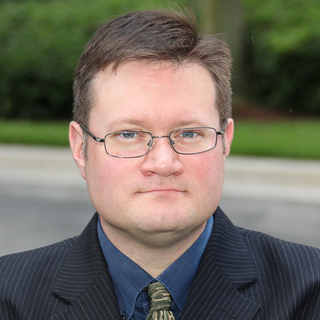 Second, if you are a community manager, you need to ensure that you have a backup for your community. That could be an email mailing list, a Facebook group, or a Google Plus page. That way, if something happens to your main user account, or to the grid itself, you will still be able to stay in touch with your community. And if you thinking of possibly launching your own grid at some point, you might want to start taking some baby steps. For example, you can rent some regions from a provider that can set you up with a little area on an existing grid, and then upgrade you to your own grid when you’re ready. That way, you can see what the hosting provider is like to do business with, and whether you have enough interest from your users to go off on your own.